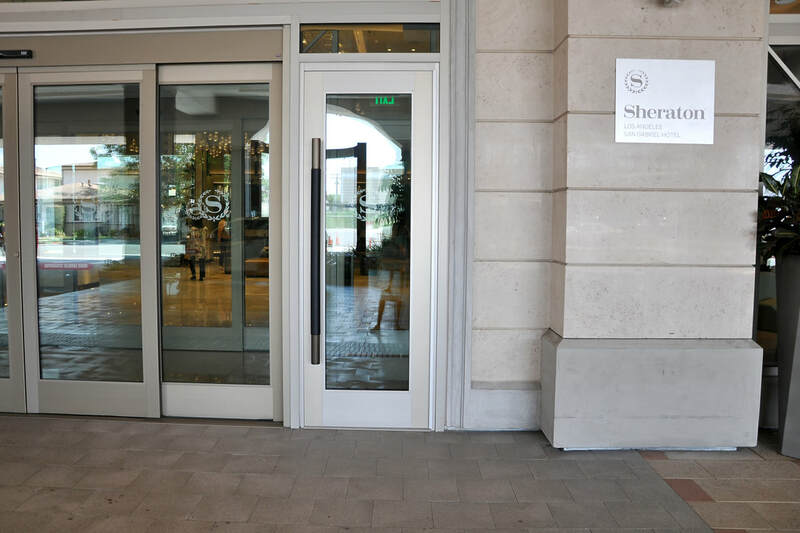 The Sheraton LA San Gabriel was host to our Sunday afternoon with Serena. Serena is the Italian Wedding Correspondent for the White Satin Wedding Show. She and her husband Marco flew into Pasadena to start their fabulous holiday in the United States. We held a Sunday afternoon lunch with four of our other Italian vendors and some friends. The day started out with an interview with Stacy Nelson of Trash Lassies for her webisodes and upcoming television show. Filming began at high noon in the Beverly Hills Room. 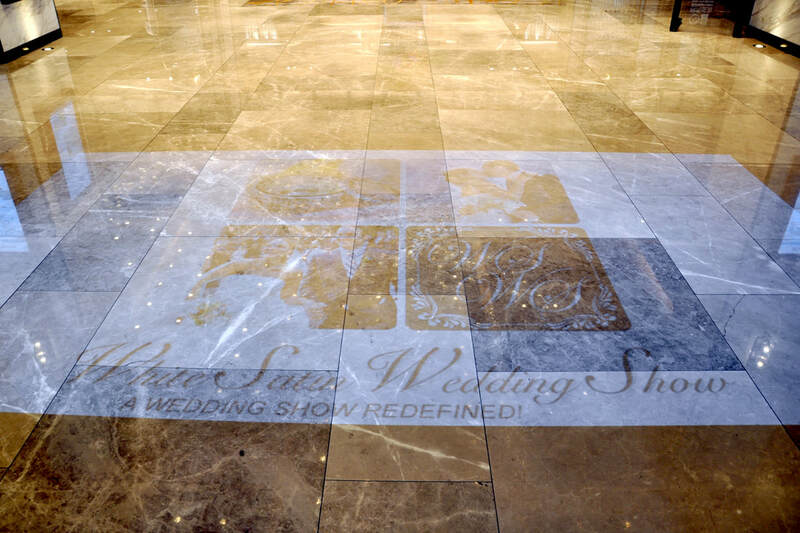 At 1:00 pm began as everyone entered the Sheraton greeted by the White Satin Wedding Show logo at the entrance to the hotel. It looked stunning!!! We had our food adventure at the long table lunch in the new Crystal Restaurant. Food was great and the company was fabulous. After lunch Carmen Choy-Surdam, Director of Catering/Convention Services took everyone on a tour of this magnificent new hotel. 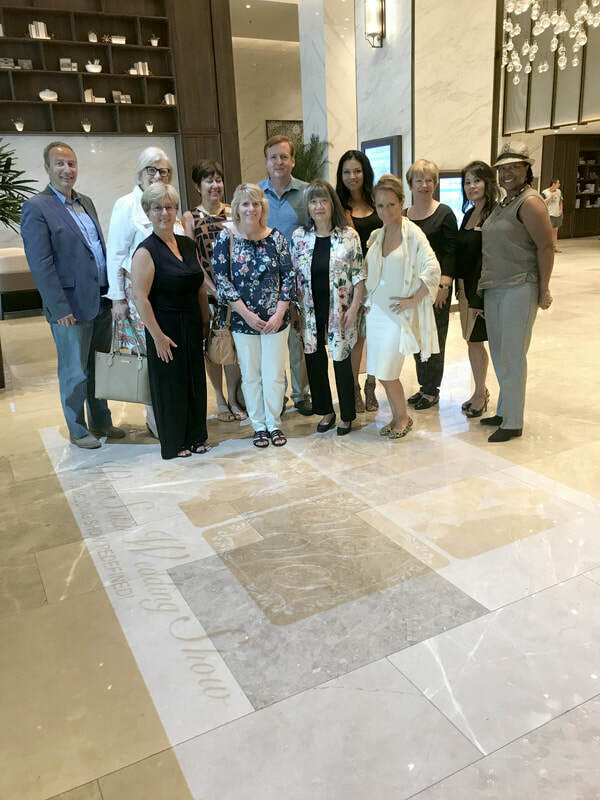 We then landed in the Hollywood Room for sweet desserts and a discussion with our Guest of Honor Serena Colavita, Italian Style Events&Weddings; Maria Elena Infantino, World remown performer/singer (sings in 7 languages); Award winning Chef Elisabetta Ciardullo Criel, Think Italian! Events; and Agata Gravante, Photographer (many of her photos appear in VOGUE it) for an interesting discussion with these four on ITALIAN STYLE WEDDINGS. 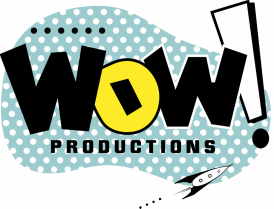 Guests: Stacy Nelson, Trash Lassies; Tobey Dodge, PrePaired and The Wedding Connection; Kristy & Jay Woelfel, Serendipity Cupcakes; La Quetta Shamblee, The Grant Builder; Audrey Sutherland-Borunda, Audrey B Hair Studio. PHOTOS: The Interview - Welcome to the Sheraton - Dining in the Crystal Room - Grand Tour of the Sheraton LA San Gabriel - Dessert & Discussion of Italian Style Weddings.